Getting an education abroad is an increasingly likely prospect for students across the globe, especially for those living in the Global South. In the 2014 – 2015 academic year, the world’s stock of internationally mobile students grew to approximately 5 million. Advocates of globalisation tend to approve of international mobility for students pursuing higher education, seeing this as a way to facilitate the exchange of valuable skills and information. Nevertheless, the contemporary rise of anti-immigration movements in a number of advanced countries has seen demands for restrictions to be placed on the acceptance of international students, who are sometimes seen as intellectual competition for countries’ higher-paying jobs. Such notions are gaining traction even as estimates show that the trend towards increasing international exchange in education is gathering momentum: if current rates persist, the total number of internationally mobile students could rise to around 8 – 9 million by 2025. Countries vary significantly with respect to their immigration policies. Thus, acceptance rates for international students vary similarly. While Britain and the United States (US) are becoming more strict in issuing student visas, Canada, Australia, and Singapore are creating policies and atmospheres that attract foreign students to their universities. Historically, study-abroad and exchange programs had been introduced as a way to facilitate peace among war prone countries. The assumption underlying such programs was that the “national bias” that influence state or international level decisions would decrease to an appropriate degree, so as to foster harmonious relations among states. However, during the Cold War years, applicants for foreign exchange programs were largely American and British students who possessed the financial means to support an overseas education, and foreign studies programs were mostly, if not exclusively, offered in English. More often than not, the objective benefits for countries of hosting international students outweigh the costs. Firstly, the quality of debates rises the more diverse the environments in which they take place. Secondly, the education industry is a considerable source of income, especially for anglophone countries. Tuition revenues can in some cases help to balance out debt payments. Thirdly, through scholarship programs, talented minds can help contribute to a country’s economic prosperity, competitiveness, and cultural capital. On the individual level, students get to choose and explore between a larger range of disciplines to study. Foreign studies also help students to move up the income ladder because of increased opportunities they provide for students born in less developed countries. Critics from the source nation cite the phenomenon of brain drain as a strong argument for the pitfalls of international studies, pointing to the negative implications of the process for development. Moreover, international students incur major financial burdens that may go against them if high-paying employment in developed countries is not guaranteed. Still, revisionist discourse on the value of foreign studies for individuals suggests that regardless of whether international students return home or remain, the higher quality of education gleaned from studies abroad is conducive to development. Until recent years, the US and Britain continued to be the largest recipients of international students. In absolute numbers, the US still attracts the largest number of foreign students, with a total of 975,000 registered last year. British universities also rank highly on diversity charts. International students account for around 45% of the student population in top British universities like Oxford University and University College London (UCL). These statistics may may shrink in the coming years. 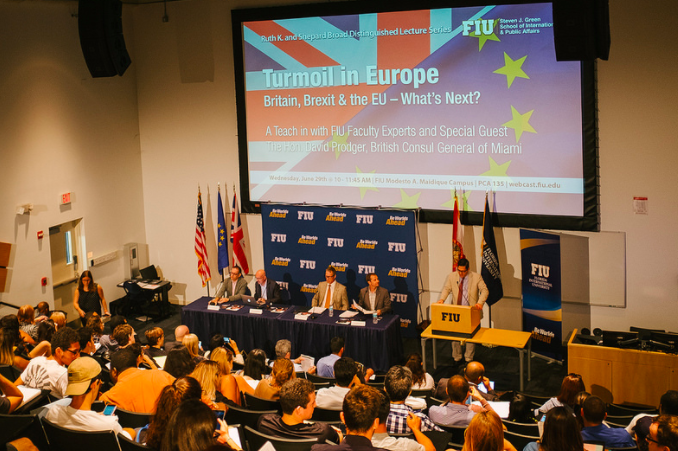 Macroeconomic fluctuations, population pressures, and country specific events such as the 9/11 attacks in the US and Brexit in the UK are the primary reasons for the differences in treatment of international students. Labour market fluctuations in the US have led to uncertainty in the public and private sectors’ ability to facilitate job creation. In such an atmosphere, specialised graduate programs like medical, law and engineering schools have been experiencing increased demand from local students, but international students have been a major engine behind this increase. Given the limited number of jobs in the market compared to the stock of highly-skilled graduates, the US has made student visas harder to obtain. Additionally, the visa issuance process became more stringent after the 9/11 attacks, with the effects of tightened immigration policy spilling over to foreigners hoping to get student visas. International students in the US are also subject to high and steadily increasing tuition fees. The undergraduate tuition fees of top private schools for foreign students increased from a range of $39,000 – $45,000 in 2013 to $46,000 – $60,000 in 2016 (This estimate includes room and board charges). Foreign students are charged more either to subsidize local students or to maintain the high quality of faculties and facilities, what attracted many foreign students in the first place. Exceptionally high prices and the vicious competition to get into prestigious American universities have thus combined to reduce incentives to study in the US. University students being taught about the causes, consequences of Brexit. In much the same way, Brexit and the falling value of sterling has put international students in a precarious position. While a devalued currency makes tuition significantly cheaper for foreign students, their prospects for job placements after undergraduate or graduate studies are seemingly grimmer than was the case pre-Brexit. The dominant foreign nationalities in British universities are Chinese and Indian students. Their respective currencies are strengthening compare to sterling. For instance, in 2015, 1 GBP (British Pound) bought approximately 101 INR (Indian Rupees), whereas in 2016 the same GBP bought 81 INR. Therefore, foreign students are finding it easier to finance their studies, making UK an attractive destination for higher education. However, following Home Secretary Amber Rudd’s announcement on October 4th of new restrictions on foreign students, the latter are experiencing harsher entry requirements and higher tuition fees. For international students already studying in the UK, post-university job placements are increasingly tougher to obtain, as student visas expire upon the official end of studies. No alternative visas have been provided for students to stay and look for jobs. Thus, the UK could well see a sharp decline in the number of international students. Unlike the US and UK, Canada has been actively opening its borders to international students. Seeking to grow its labour force , Canada has made attracting international students as one of its top immigration priorities. Immigration Minister John McCallum has said that students being educated in Canadian universities make good candidates for citizenship. Over the last decade, student visa rejection rates have declined markedly, while the number of months students can stay in Canada upon termination of studies to look for jobs has increased from 3 to 12 months. These measures have created a favourable environment for students to study in and transition into the workforce relatively smoothly. 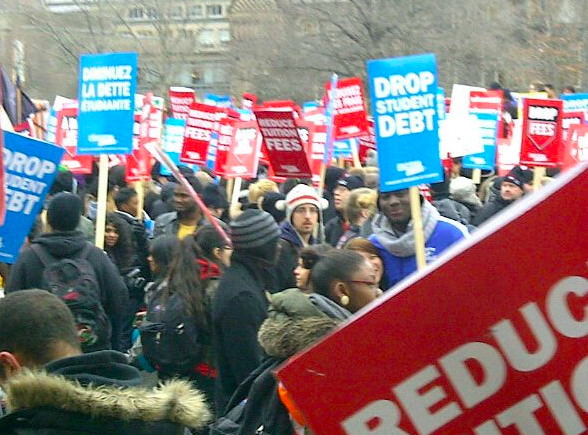 However, Canada is seemingly borrowing from the American model of increasing tuition fees charged to international students, especially for graduate schools. Ultimately, the US and UK may come to regret their decision to curb the number of international students wanting to study in their country in the long run. But on a short term basis, it is understandable why student immigration is not as robust given population pressures, and political and economic instability. However, drastically reducing the inflow should not be the solution. The US and UK have developed academic institutions of great repute over the decades, schools that have greatly benefitted locals and foreigners. Education has also been a profitable export for these countries, so limiting the industry would result in negative returns. Furthermore, there might be a diversification of approaches to education like a separation of western and eastern thought since countries like Singapore and Japan have also begun to open their borders to international students in a big way. Finally, Canada and Australia could see major positive changes in demography over the coming years if foreign students continue to dominate the immigration processes.